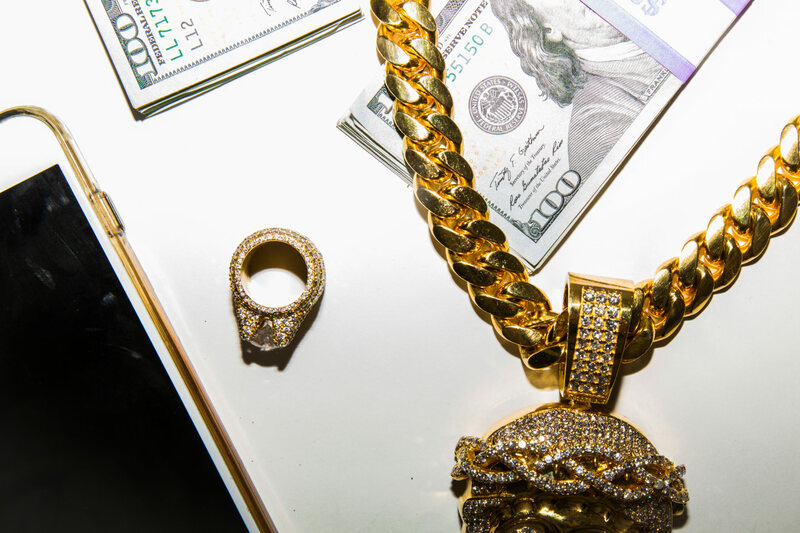 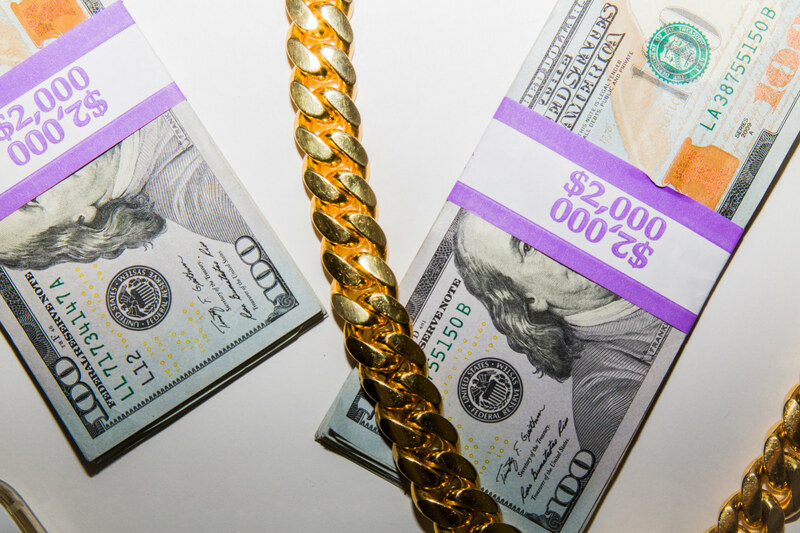 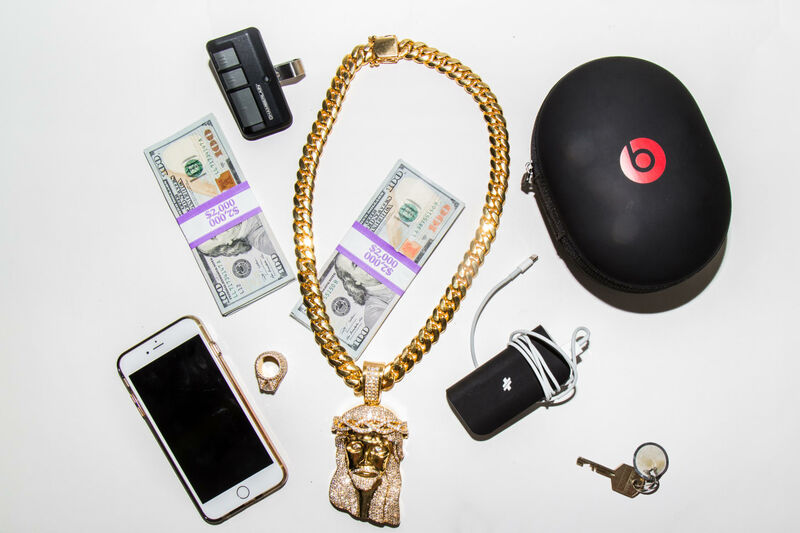 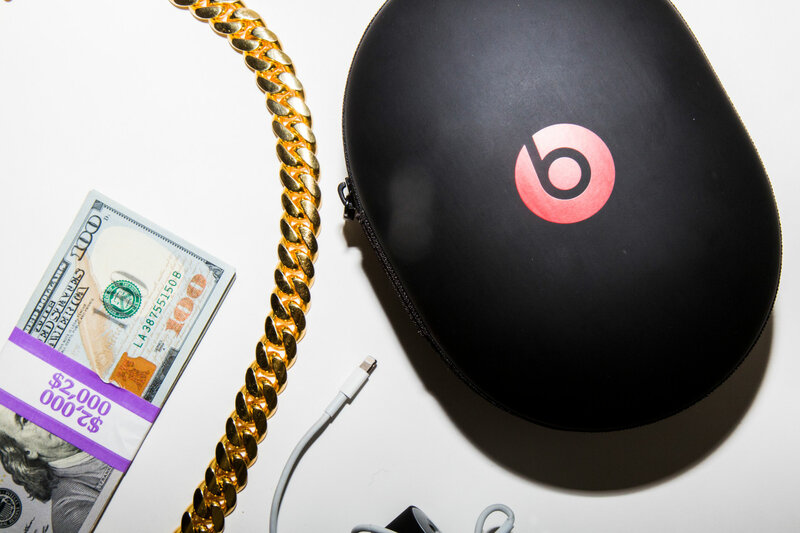 Plies carries a colossal jesus piece, a rose gold iPhone and a plenty money. 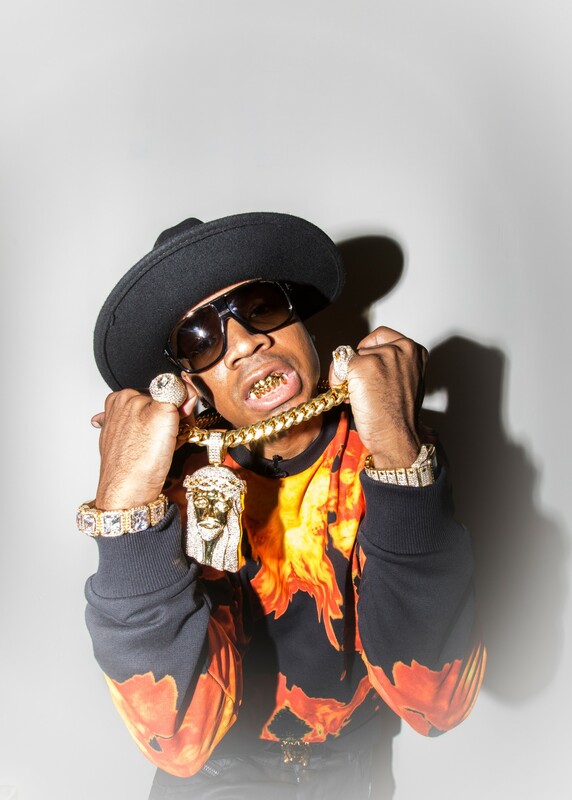 Due to the quick takeoff of his hit single, "Ritz Carlton" one could assume that Plies is making a rap comeback, but the grandiose Florida native never left. 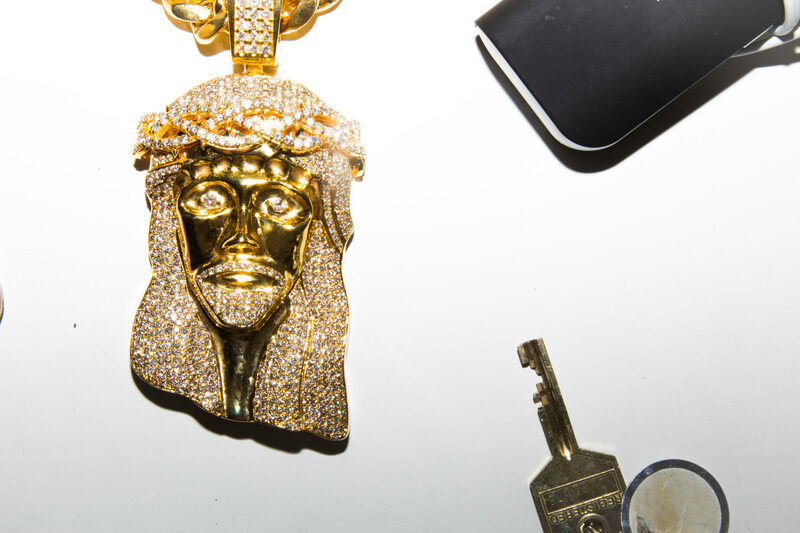 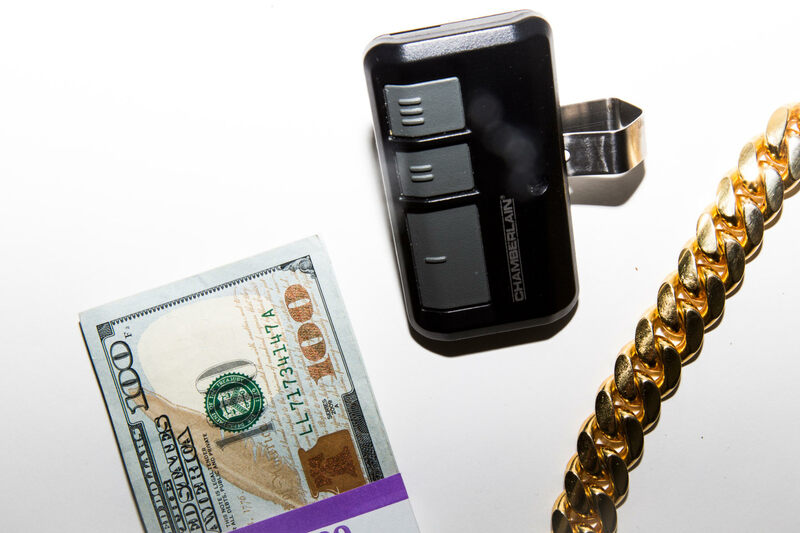 He's continued to thrive and is living the good life with a wad of cash and a massively icy jesus piece chain, as he showed us when he visited the FADER last week. 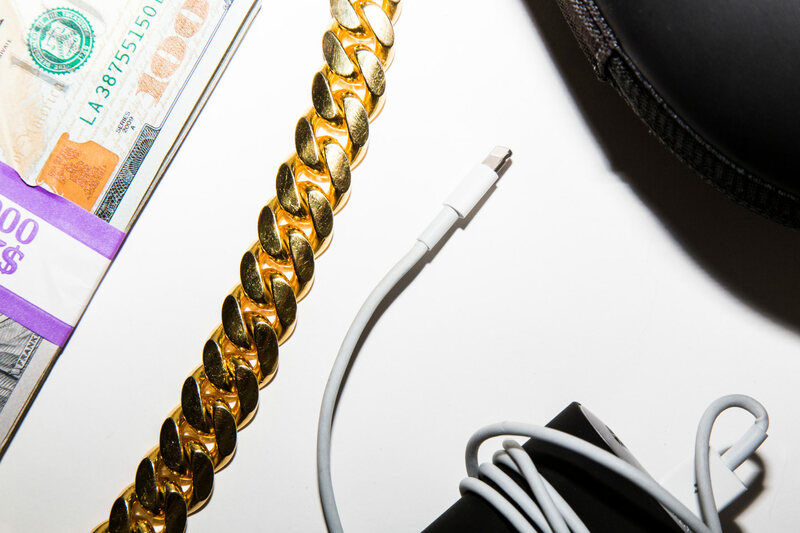 He also had a rose gold iPhone and some headphones—perhaps to prep some 'Sweet Pwussy Satday' videos for the weekend.